I am always a fan of not going white with kitchen cabinets. 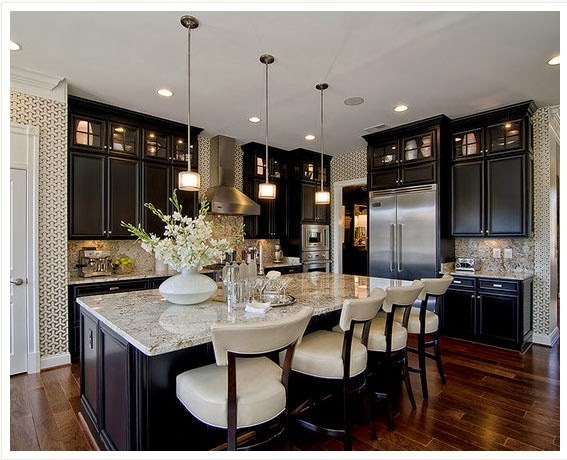 I keep pinning more and more kitchens that still seem bright yet have black cabinets. 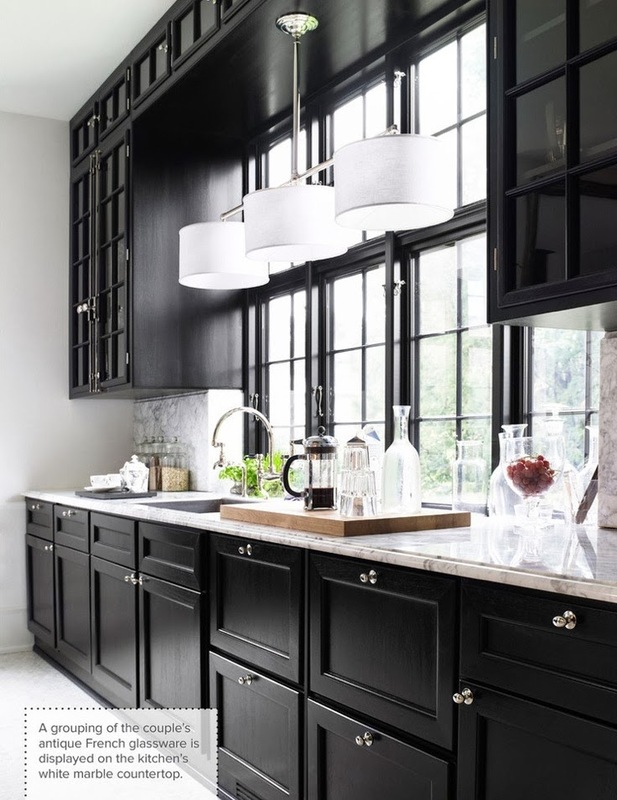 Black cabinets just seem to make these kitchens so much more chic. A few musts though if you consider this for your own space is making sure you have a kitchen that gets great natural light or is really open. Also keep the walls a light color, this keeps the room from becoming a cave! 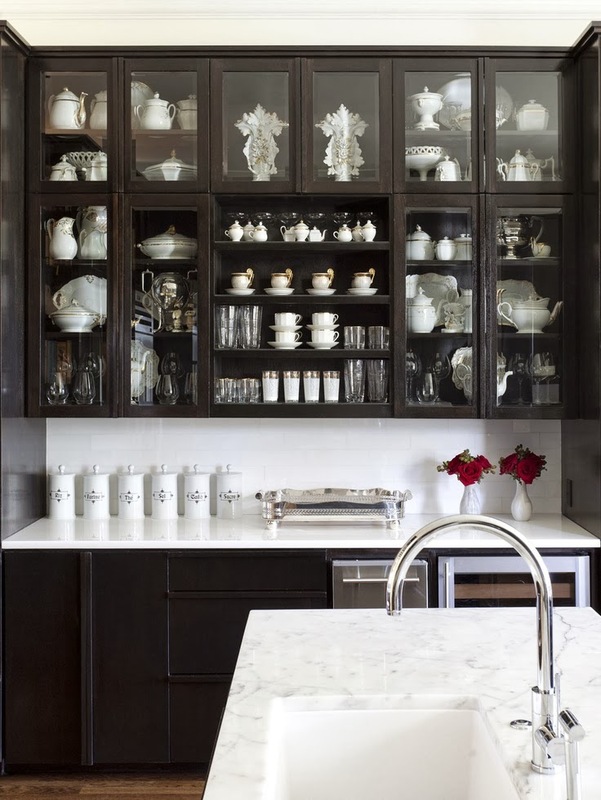 Painting the insides of these cabinets black makes all of the china stand out...making it feel more like art. 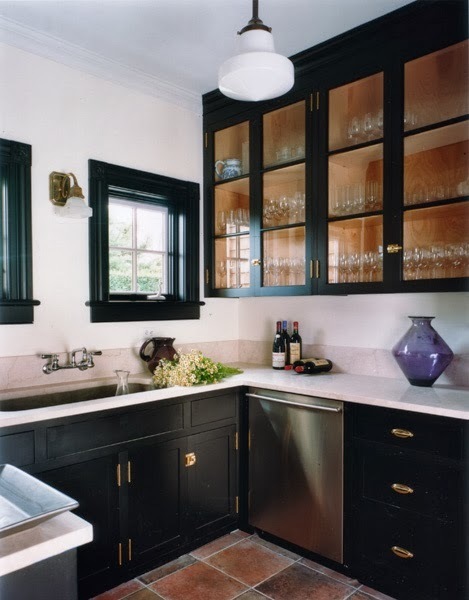 Or I love the idea of using a color inside glass front cabinets...especially when its this coral/ blush color! This high gloss black takes these cabinets that look like the original plain jane types feel much more up to date and special... definitely cost saving compared to replacing cabinets! The mirrored backsplash helps to reflect more light. 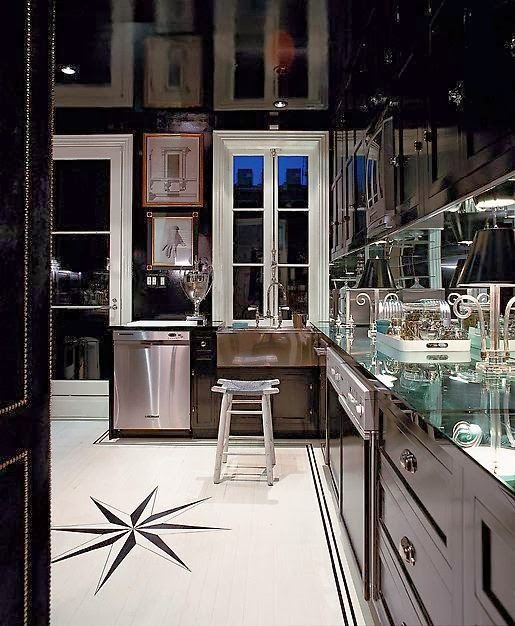 Notice the black lacquer ceiling even creates a reflection making the space feel larger. 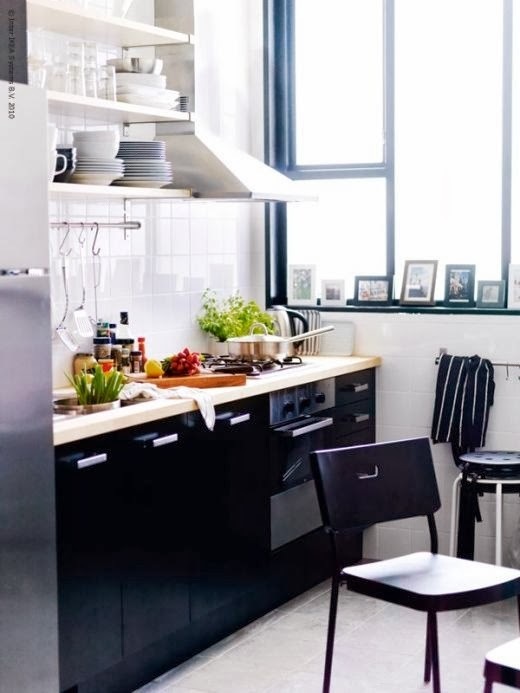 I love the following kitchen for a studio style apartment...it doesn't even look like a kitchen at first glance but more like built-ins that you would find in a living room. Don't even get me started on the island...LOVE! 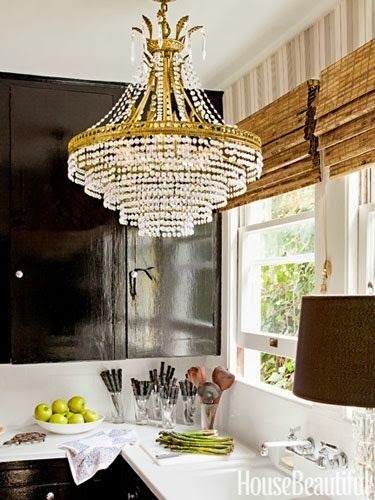 Oh my gosh, I am dying for a kitchen makeover and these looks are so up my alley! We have a built-in hutch and I am dying to paint it black. I will have to pin these for the magical day when we finally do it! Oh, and just saw your Instagram comment on MFAMB's Domino photo. 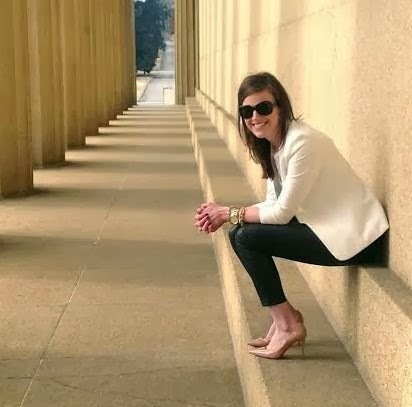 Maybe I should find out where you've been so I can try some different spots!